A group of Australian researchers is suggesting that the aspect and condition of tree leaves and soil, as well as the presence of termites, should be considered key indicators of the presence of gold deposits in a certain area. After analyzing hundreds of samples of sediments, soil and acacia leaves from a gold mine near Kalgoorlie, Western Australia, the team led by Ravi Anand, from the Australian Commonwealth Scientific and Industrial Research Organization (CSIRO), concluded the gold content in the samples confirm that clusters of the precious metal occur in zones rich in organic carbon (that derived from once-living material). 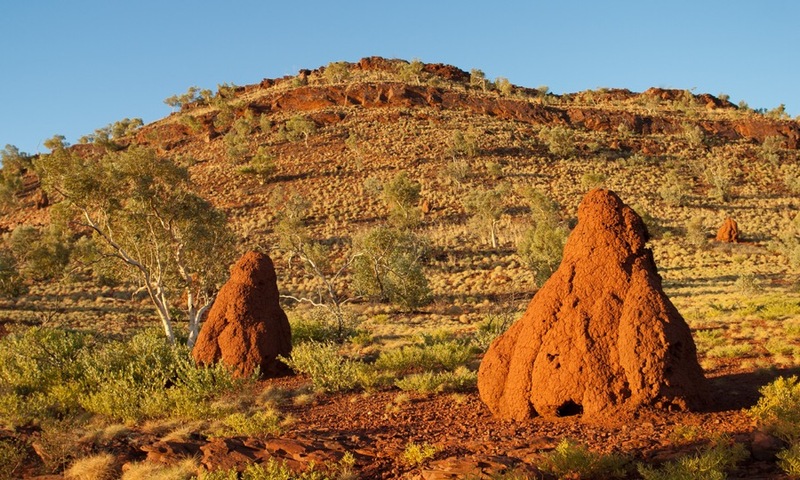 Acacia trees and termite mounds could reveal where undiscovered gold deposits are located. Anand and his colleagues believe that much of the gold derived from the decay of the biomass created by the past vegetation in humid conditions. They even say that areas containing clusters of gold may hint at deeper riches, as they believe the gold they found near to the surface had gone through several stages of recycling. They also note that acacia trees and termites that thrive in arid climate conditions, such as those around the Moolart Well gold deposit, continue to shuffle small flakes of gold around, diluting and dispersing it further. The team findings seemed to have been confirmed by Canadian mining exploration firm Angkor Gold, which since arriving in Cambodia in 2009 has collected samples from more than 110,000 termite mounds on its prospects in Ratanakkiri and Mondulkiri provinces. The samples have helped the company identify concentrations of gold and base metals such as copper and molybdenum on its seven properties, which cover 1,500 square kilometres, the Alberta-based company said. In an interview with local media about a year ago, John-Paul Dau, Angkor Gold’s vice president of operations, said termite mound sampling was about three times more cost-effective than conventional ‘C’ zone augur drilling, requiring less manpower, time and equipment. Anand and his team’s findings were recently published in the journal Geology.